Vice President Mike Pence is getting a chance to survey Harvey's wreckage and visit with Texas storm victims close to where Harvey first slammed ashore. Pence traveled to the tiny coastal town of Rockport, Texas, on Thursday to see the devastation caused by the hurricane-turned-tropical depression that set a rainfall record and severely flooded the Houston area. Harvey's five straight days of rain totaled close to 52 inches, the heaviest tropical downpour ever recorded in the continental U.S. Residents of Rockport were among the first in the U.S. hit by Harvey, which came ashore last Friday as a Category 4 hurricane. The vice president landed in Corpus Christi, Texas, and was greeted by Texas Gov. Greg Abbott. Pence and his wife, Karen, were joined by Energy Secretary Rick Perry, a former Texas governor, and other Cabinet members. They all stopped for a visit at the First Baptist Church of Rockport where Abbott introduced Pence and thanked both him and President Trump for their support of Texas's rebuilding and recovery processes post-Harvey. Pence said the nation has been inspired by the resilience of Texans dealing with the storm damage from Harvey. 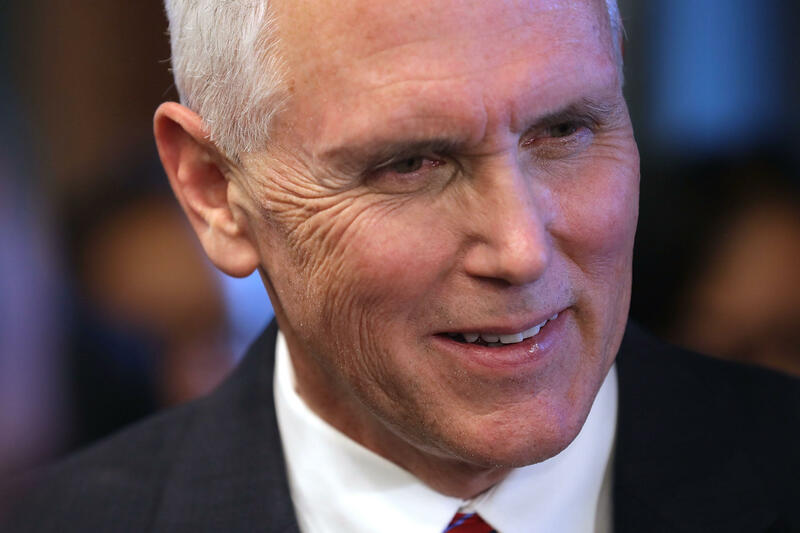 "President Trump sent us here to say we are with you, the American people are with you," Pence told the crowd of state and local officials as well as community members gathered outside the church, which was severely damaged by the storm. "You've inspired the nation by your resilience and your courage," he later added. Second lady Karen Pence then lead the everyone present at the brief remarks in prayer. Mr. Trump visited Corpus Christi, Texas, and Austin on Tuesday for briefings with local officials. The president and first lady Melania Trump both plan to return to Texas on Saturday and possibly visit Louisiana, parts of which are now being lashed by Harvey's remnants.